We got great feedback on the Gallimaufry post from June, so I figured it should become a recurring series. We do announcement posts for the larger features, but there are so many small ones that can get lost in the chatter if they're not called out and recognized. We've done a ton of work on our Hosted Websites since we released them back in January and will continue making them better. Keep those ideas coming! 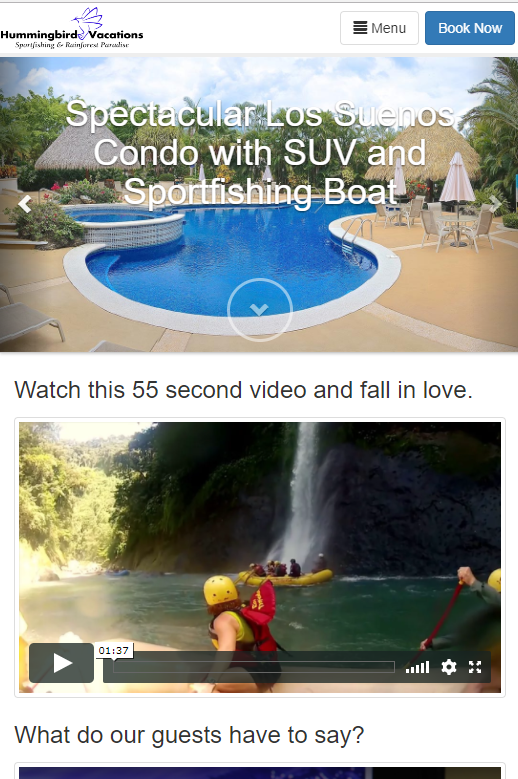 Video/iFrame embedding on pages. HT David K, Kent M.
Add css setting to allow advanced control of layout and styles. HT David K.
Allow scripts in footers to enable additional analytics, etc. The availability/property search widget we released in June was one of our most widely requested widgets. We released some solid updates to that this month, as well as a brand new and fully rewritten multiple month calendar widget that subsumes the 3 month calendar and year calendar widgets to a much more flexible and responsive widget. New multiple month calendar that supports 1 to 24 months and uses responsive display to adapt to all screen sizes. 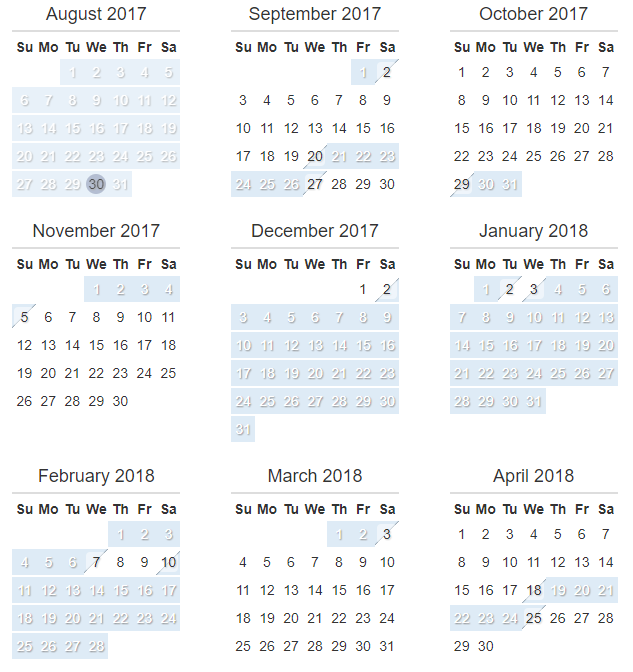 Merge year calendar and 3 month calendar into the multiple month calendar. HT -- too many to list. Support display culture on inquiry widget and multi month calendar widget. HT Craig H.
Listing overrides for sleeps and rate (property info tab). HT Barb S.
Search widget option to display results on second page. HT Lissa Y. Remind guests to check their spam folder when they send an inquiry from the book now widget. HT Michael H.
Add group by booking to line item summary report. HT John R.
Add reference columns to tax summary report. HT Chris P.
Security deposit status filter on booking grid. HT ShenRent. Add inquiry grid bulk mark as read/answered buttons. HT Brandon M.
Show actual values from entities (bookings etc.) on legal agreement and email template previews instead of using sample values. Sample values still used if no entity exists yet. Show credit card icons and names if PayPal is enabled but no separate credit card payments are enabled. HT Dave. Add calendar sync execution order and extend/overwrite option to handle properties with multiple areas that can be rented together or separately (lock off). HT Barb S, Kerry H.
Refer to Futon as a Sleeper Sofa. HT Amanda C.
Grey out blocked off times on ribbon view by default, add setting to user preferences to control. HT Kerry H.
Put today highlight on standard date pickers. HT ShenRent. Thanks to all of our loyal users who suggested many of these features!